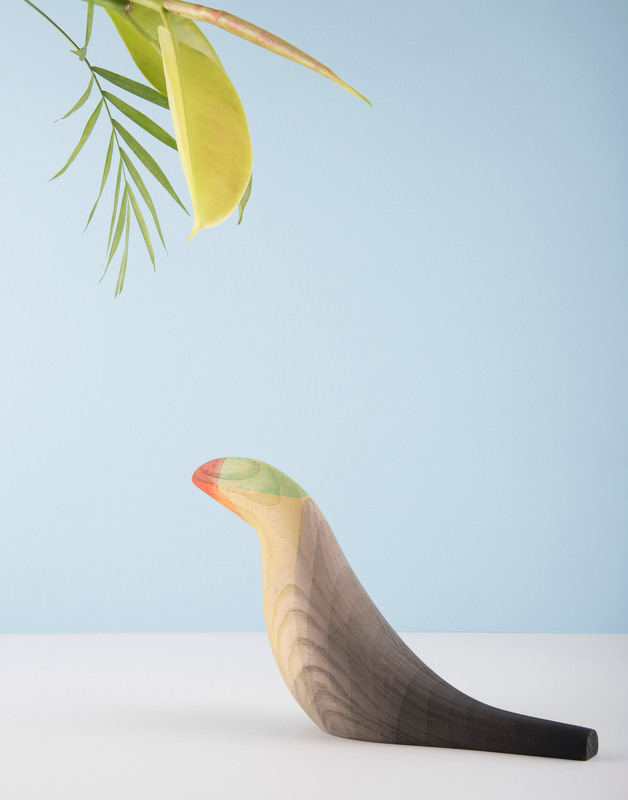 Moises Hernandez is a Mexican based designer. 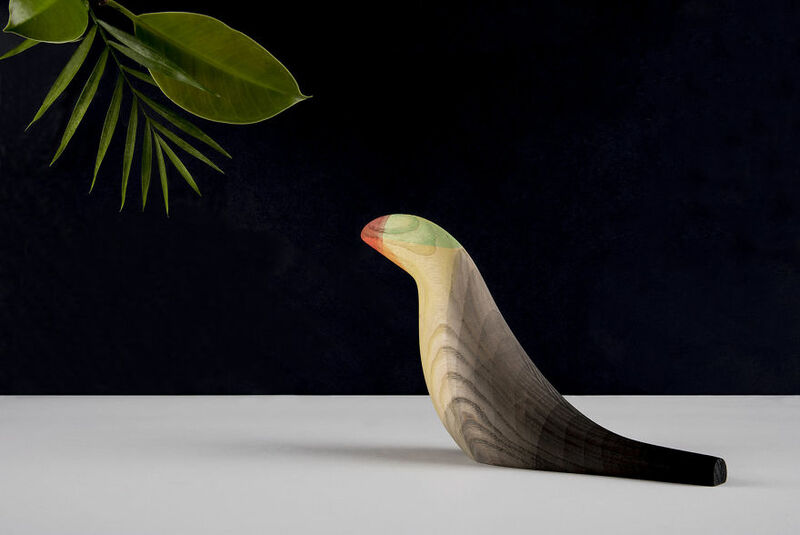 Moises living in a diversified environment of objects, traditions, textures, social contrast and chromatic difference but is mostly attracted by simplicity and fresh ideas. 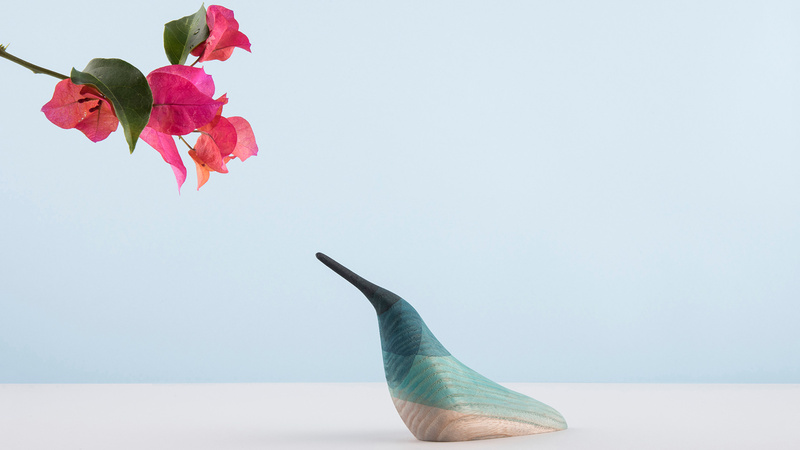 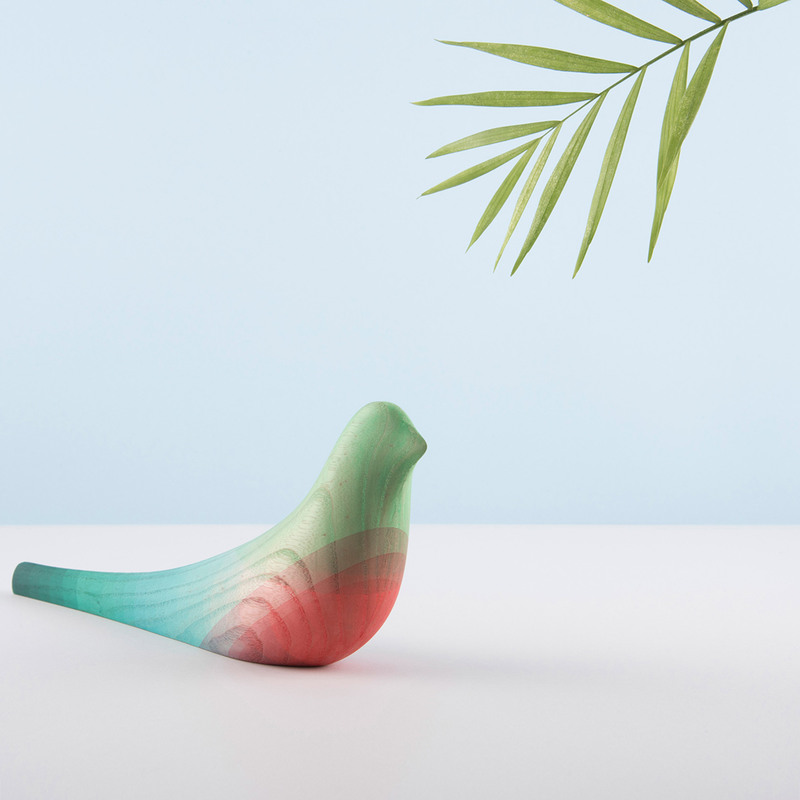 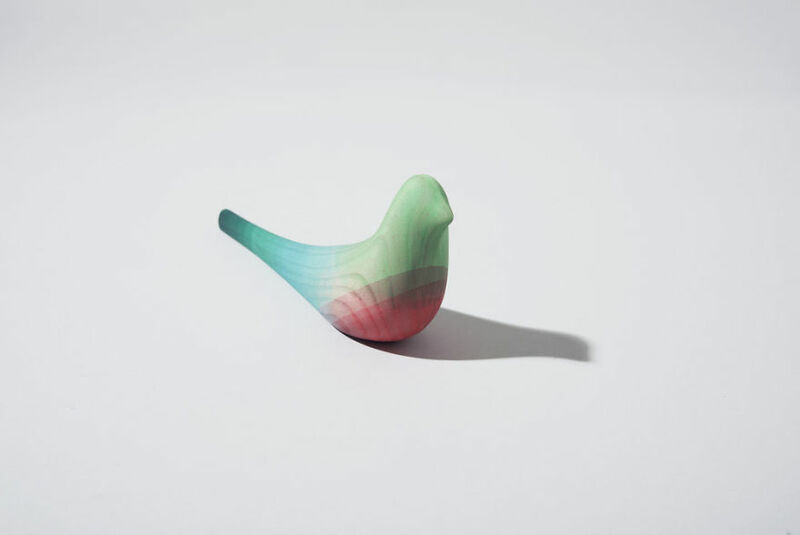 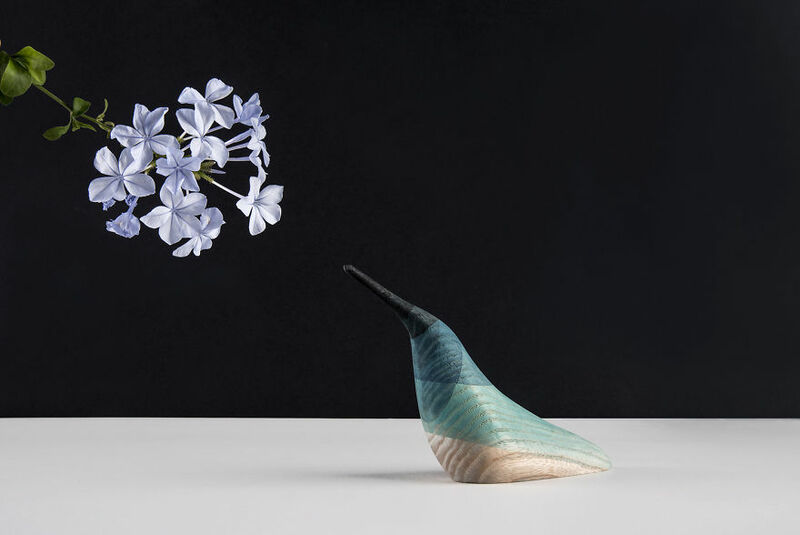 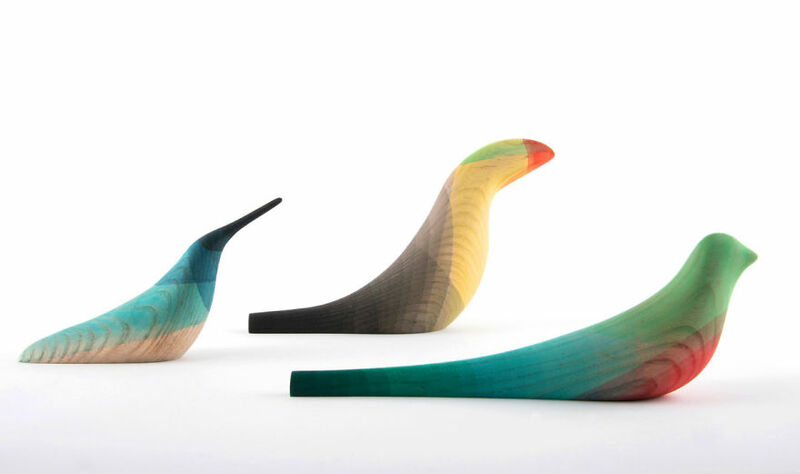 The wooden birds are based on the form and colouring of toucans, hummingbirds and Mexican quetzals – chosen for their bright, contrasting feathers. 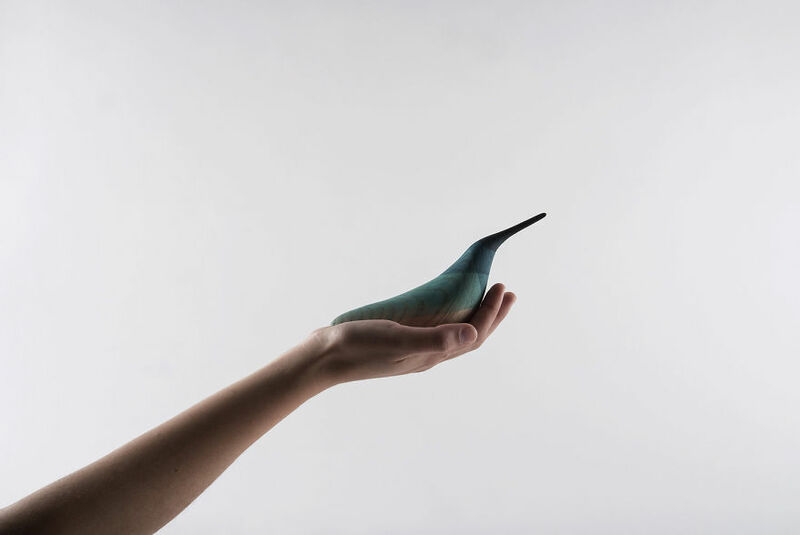 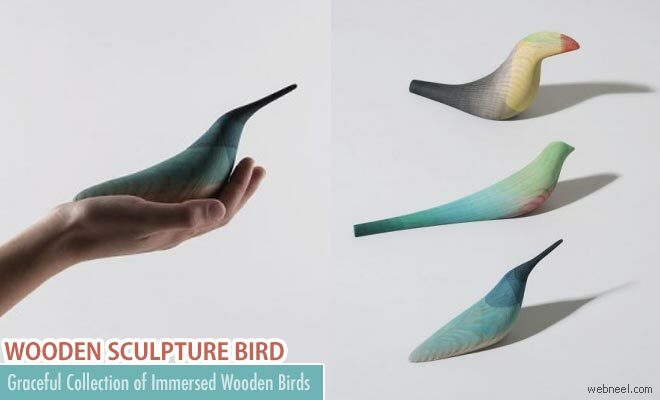 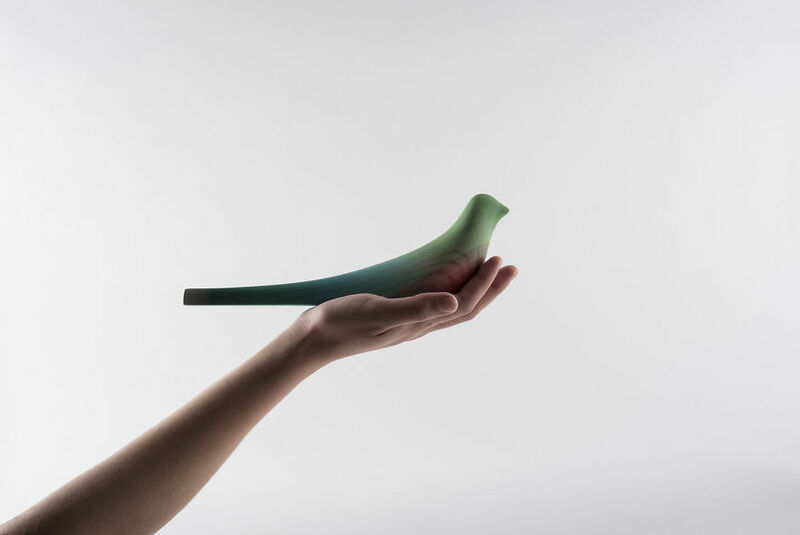 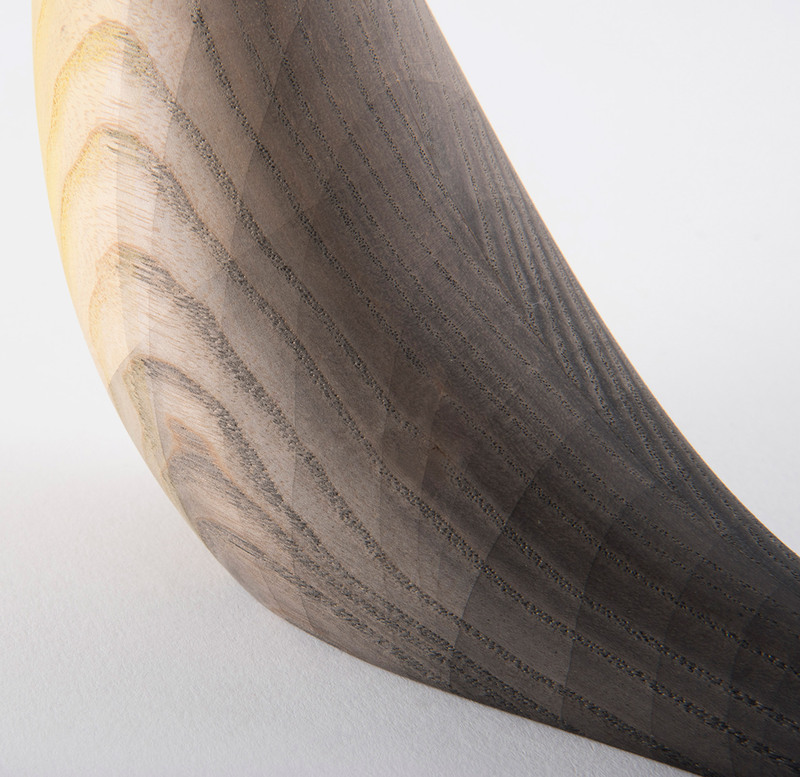 Moises Uses the computer-numerically-controlled(CNC) technology to mill soft, continuous wooden shapes that replicate the structure of the birds' bodies. 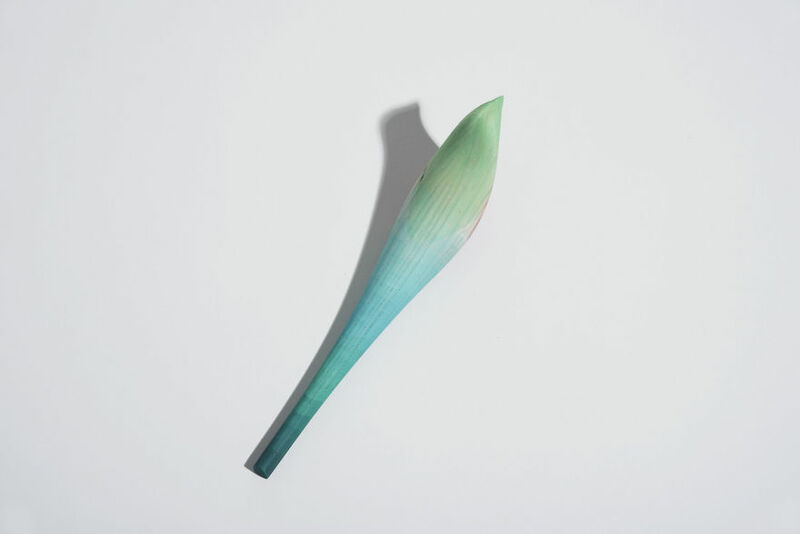 Exaggerated tubes form tails, while slender spikes make for beaks. 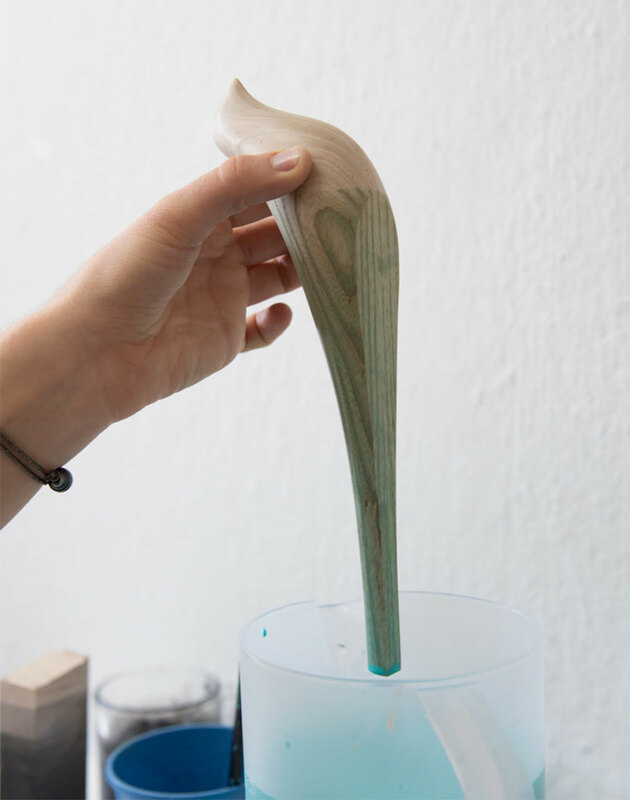 He tried an experimental painting technique that immersed sections of the wood in coloured water. 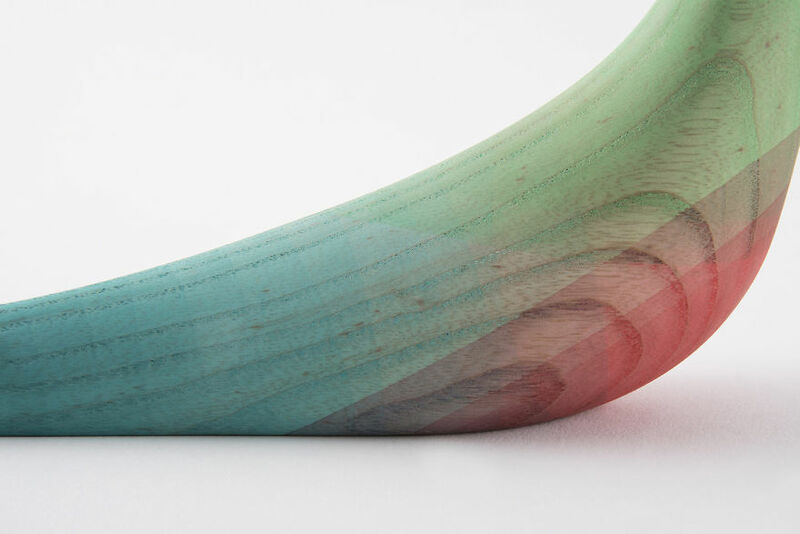 Moises thus created overlapping and contrasting layers of colour and play with transparency-leaving the grain of the wood visible beneath the dye. 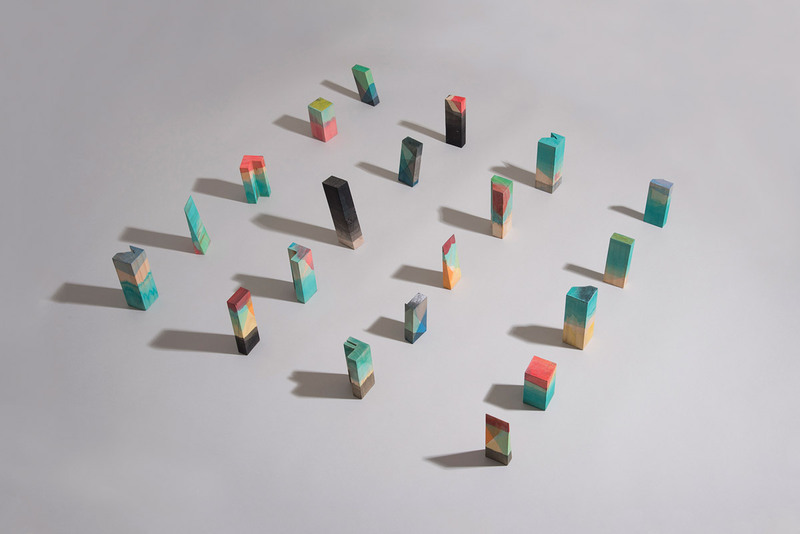 The depth and gradient of the shades depends on the time it is immersed. 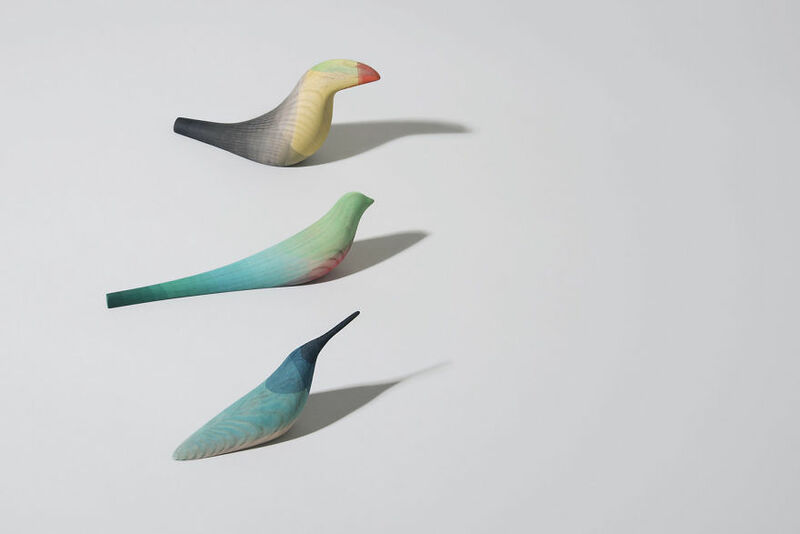 These decorative and pretty birds fly through the heart of every observor.